You’ve heard of Charles Darwin, Ernest Shackleton and Lawrence of Arabia. But how about Marianne North, Ada Blackjack or Isabelle Eberhardt? From aquanauts to astronauts, treetop explorers to eagle hunters, The Woman Who Rode a Shark celebrates 50 ocean-diving, mountain-climbing, jungle-running female adventurers who’ve blazed an exceptional trail from 231 BC to today. Through bold illustrations that combine portraits and hand-drawn maps, children can trace the ocean-soaring flights of pilot Amelia Earhart, follow Isabella Bird’s expedition up the Yangtze River, and meet Kimi Werner – the freediving chef who hitched a ride on the dorsal fin of a great white shark. Join the Women Adventurers community on Facebook and Instagram. 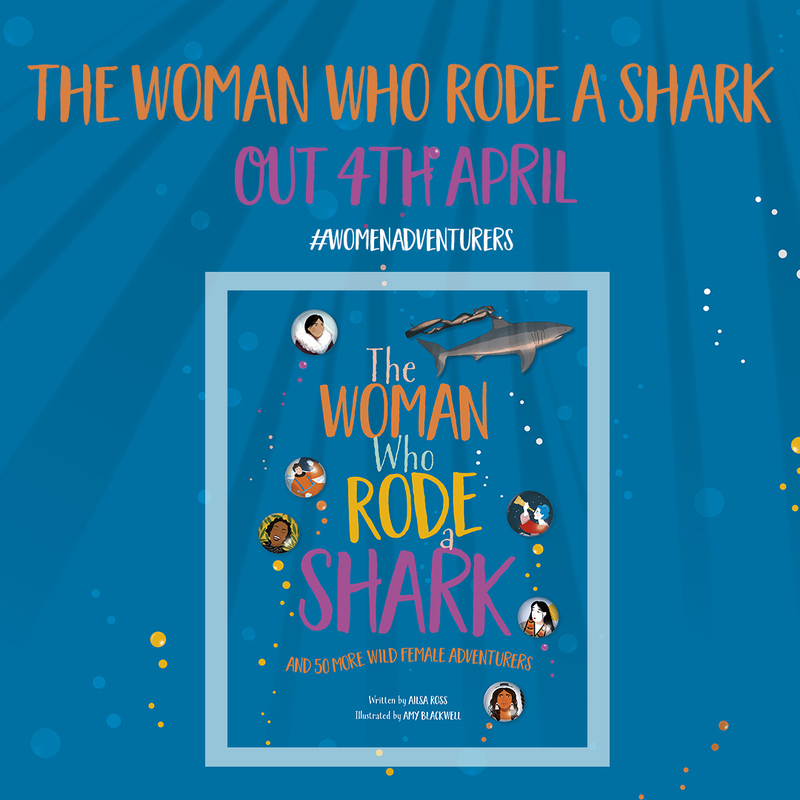 The Woman Who Rode a Shark is out now on Amazon, Waterstones or Hive, and at all good UK bookshops.